In 1974, with his brother David, Jad Fair co-founded the lo-fi alternative rock group Half Japanese. Over the ensuing three decades, Half Japanese released nearly 30 records, and in the process, attracted a solid base of fans passionate about the band’s pure, unbridled enthusiasm for rock and roll. Jad also performs and records as a solo artist, and occasionally collaborates with such musicians as Daniel Johnston, Teenage Fanclub, Moe Tucker (of Velvet Underground), Yo La Tengo, Steve Shelley and Thurston Moore (of Sonic Youth), John Zorn, Kramer, and more. Half Japanese will perform an exclusive show for the ATP festival curated by Jeff Mangum from Neutral Milk Hotel, and Jad Fair and Gilles Rieder do a duo tour around Europe in December. 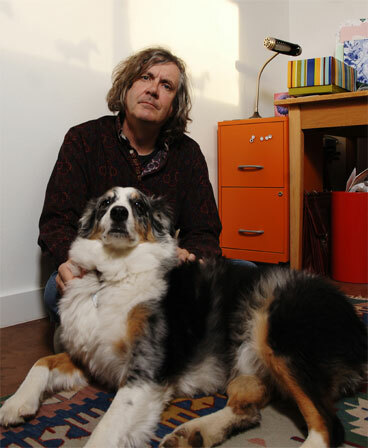 Jad Fair and Gilles Rieder are available for duo shows April 2012. Contact booking.